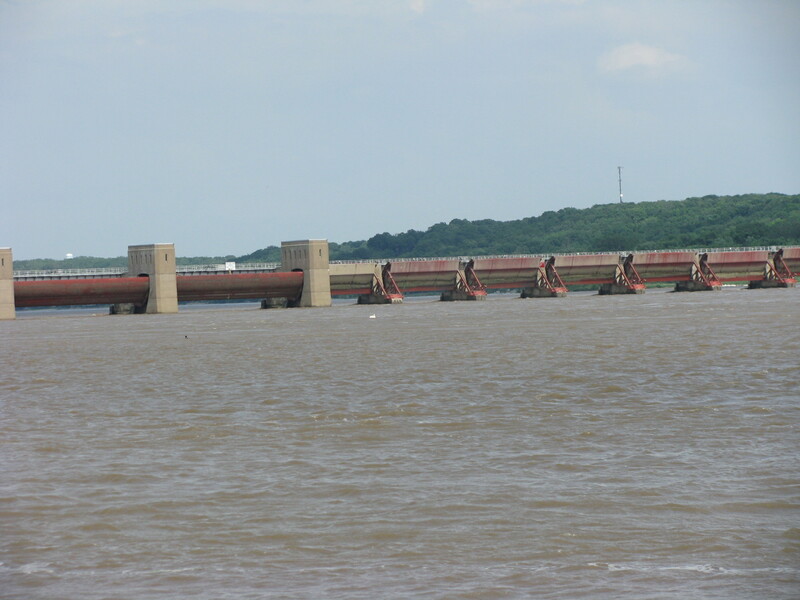 I promised I would get down to the downstream side of lock and dam 14 to see if the gates were wide open, and I did and the gates are. Remember, the roller gates are to the left and the tainter gates to the right. Even in the down position, they do not reach to the bottom of the river. 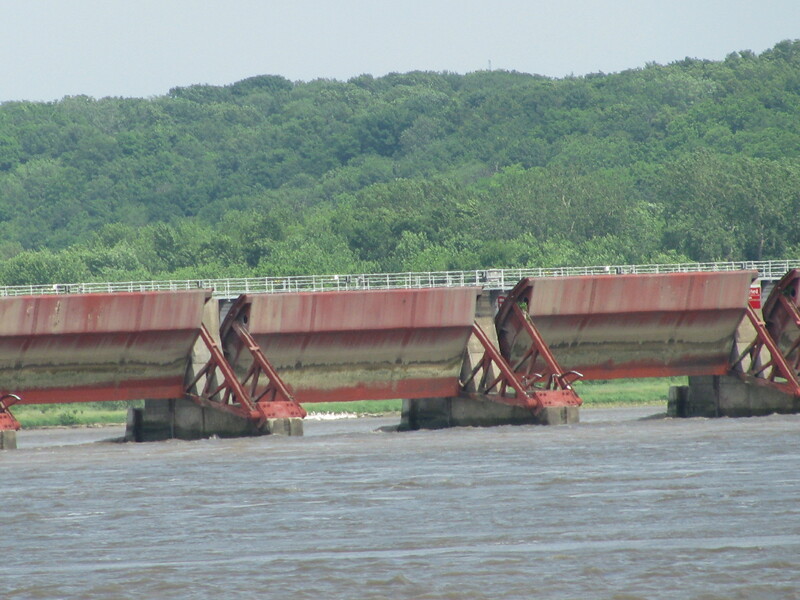 The Corps is going to close the locks starting downstream at lock 16 to north of St. Louis. Guess we won’t see many barges.